We’ve really embraced fitness trackers into our day to day lives. Tech such as Fitbits have people across the country trying to fit in extra steps before bed, taking the stairs rather than the elevator, and getting off the bus a stop earlier in an attempt to hit their daily targets. 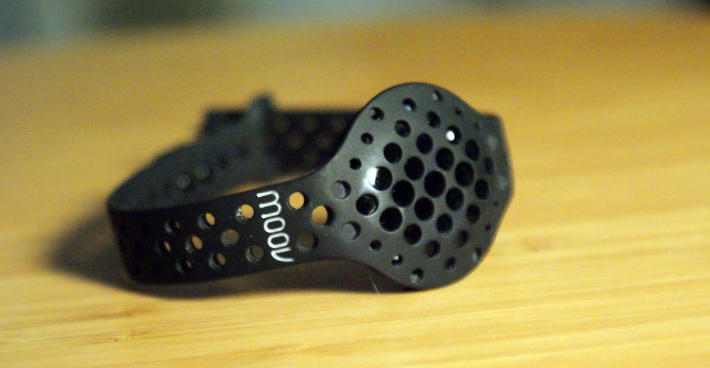 But one of the most impressive fitness trackers is the Moov Now, as it becomes your own fitness trainer on your arm. It can coach you to improve your game by helping you to train for a race or cut your lap time. If you’re swimming, for example, it can analyse each lap you swim and tell you exactly what to do in order to be a more efficient swimmer. It can do everything from telling you when you should take a break to tracking your best performances. It has workouts for boxing, cardio, and more, which look pretty upbeat and fun, and can be viewed through your smartphone. Not to mention, it’s pretty cheap considering all the tech that’s packed into it. This has not yet been released in retail, but it looks like a really exciting gadget. 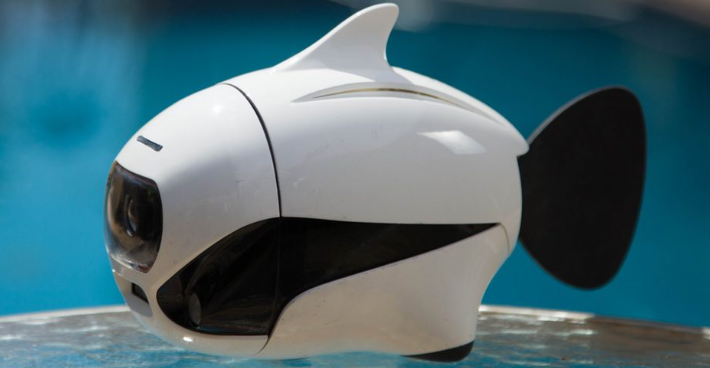 This futuristic little robot can take 4k footage underwater and swims like a fish! One of the best bits about this gadget is the GPS navigation – you can program your own routes and allow it to swim around by itself, meaning you can swim alongside it without having to worry about controlling it. You can also wirelessly control it, of course, which is just as fun. Despite the wobbly swimming, the footage from the BIKI is stable and pretty good quality, thanks to it’s stabilising 4k camera. I can’t wait to read the reviews on this and see if it lives up to the hype! Firstly…Kuri is just really really cute. I’d be happy with it just sitting in our living room even if it had no purpose at all. The point of Kuri is to capture footage of special moments in everyday life, when we wouldn’t usually think to get our phones or cameras out. It takes 5 second videos automatically in 1080p, by detecting faces and even pets. The coolest bit about Kuri is how it can supposedly fit into your household’s everyday life. 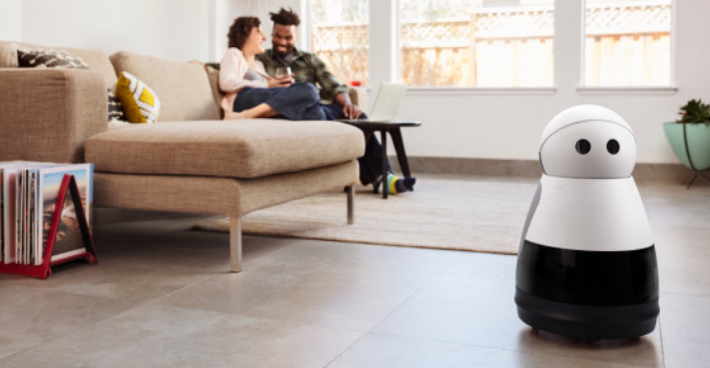 It learns how to get around your home, when you usually get home from work so it can greet you, when you get up so it can get you up on time, amongst other features. This is, sadly, another gadget that isn’t yet available, so I’m excited to see how people get on with it when it’s shipped in spring. 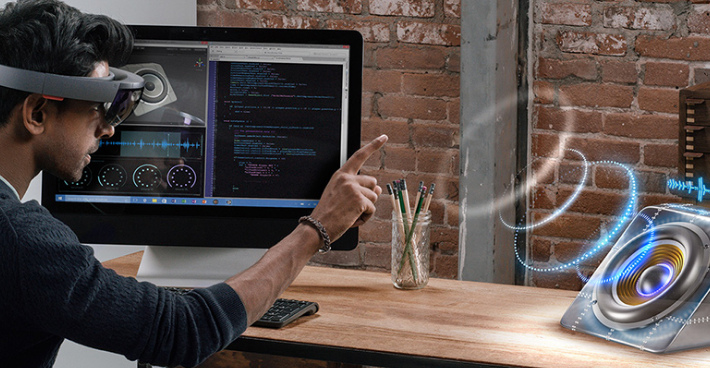 Ok, so HoloLens is a really expensive bit of tech – but it definitely seems to be worth it. It’s a small, holographic computer that gives you the ability to interact with your digital creations by putting them in the real world in front of your eyes. They look like futuristic sunglasses and allow you to bring your content to life with your eyes, gestures, or your voice. And the best bit is, this means you can see what your colleagues are picturing as they can create it and show you in 3D. The UK has gone mad for Alexa, and the Echo Show allows her to show you things as well as chat to you. After asking Alexa to play your favourite song, she could put song lyrics on the screen for a bit of karaoke. 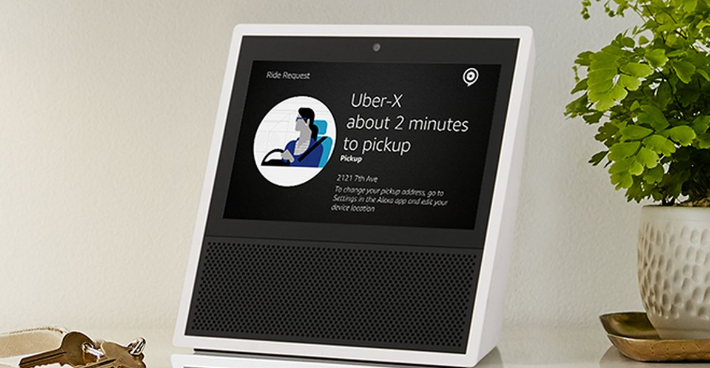 You could link the Echo Show to your security cameras to check up on your house while you’re away, or just while you’re in bed. You can video call friends and family, view photos, or just check the weather, as well as all the other features that Alexa already has. It’s a straightforward and effective move for the Amazon Echo, which has been achieving great reviews. 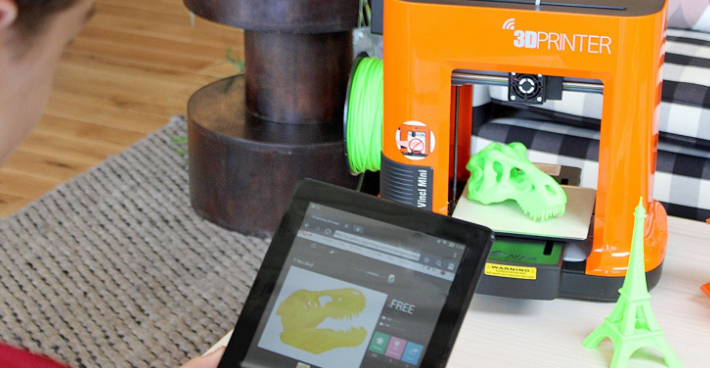 This portable little 3D printer looks really cool, and is only about twice the size of an iPad. It connects with your phone, laptop, or tablet using wifi, and can make funky, miniature designs. It uses biodegradable and non-toxic plastic, making the products environmentally-friendly too. It’s definitely a fun, and relatively cheap little gadget, however, I’m not sure how useful it would be in everyday life. This slick, circular speaker plays clear audio in every direction, has been given some great reviews, and has its own LED light. However, to be honest, that isn’t why it’s on the list. It’s on this list because it looks cool. 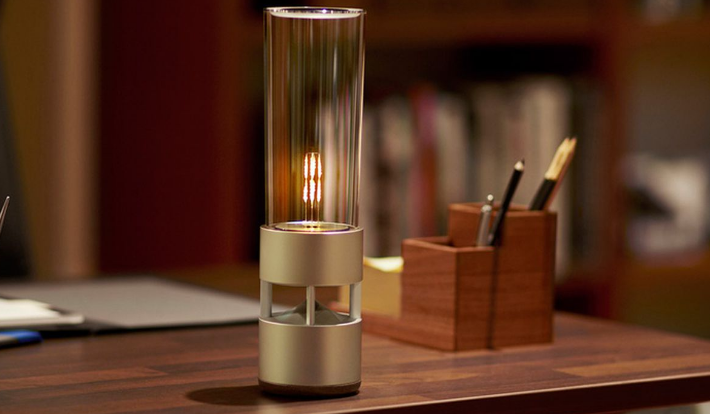 It looks like a futuristic, modern glass tube that would fit in with your home’s interior. I think, above all, it would be fun for your friends to come over and have no clue where the music is coming from. We have to talk about the latest PlayStation addition. The new headset puts you straight into a world that feels like real life, with 360-degree vision and 3D audio. 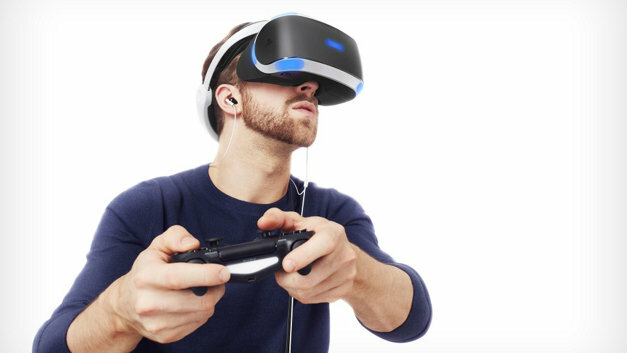 The PlayStation camera tracks the headset and controller as you move, so, dependant on the game, you can use the controller or your hands to become as immersed in the game as possible. If you want to embarrass yourself, the game can be projected onto your TV, so your friends can watch how you’re doing in the game while you stumble around and fall over as things jump out at you. But playing games isn’t the only thing the headset is good for. You can also look at your photos and videos, and it’s particularly amazing if you take 360 footage, as you can put yourself right in the middle of it and look around. You can also watch movies, which I’d be intrigued to watch up close in 3D. With the starter pack retailing for about £350, I wouldn’t say it’s enormously expensive for what it is either.